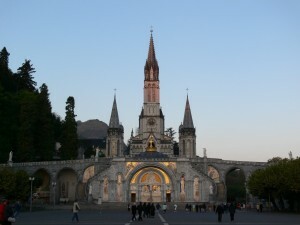 The Bishop of Clogher has paid tribute to the peace and holiness of Lourdes contrasting it with the diet of bad news that ordinarily pervades daily life. Addressing up to 350 pilgrims from Clogher on the opening day of a five-day pilgrimage, Bishop Liam Mac Daid said they were privileged to be in a place of quiet, where the pace of life is different and where care and attention is offered especially to those who are sick and vulnerable. In contrast to the “holiness, solitude and peacefulness” of the French Marian shrine, Bishop Mac Daid said daily lives are typically drenched with stories and images from social media, newspapers, magazines, television and films. Sketching out the picture created by those sources, he said that there you find people grasping for power and wealth, motivated by greed rather than giving, and worshipping self rather than God and His glory. He also noted that people were aware of the fact that the forces of nature are buckling under environmental abuse, mismanagement and greed. He regretted that people seem to be so deeply entrenched in their ways that they find it difficult to change their behaviour to accept the discipline and sacrifices demanded to bring about harmony and healing. “It can seem that we live in a man-made world of darkness, crime and death,” he commented, though he questioned if this is the whole story of human existence. Such life experiences also introduce us to a new world, Dr Mac Daid said and added that that is why the Lord drew the disciples to places apart where they could see more clearly, discuss matters of importance and converse with the Father in heaven. “May the Lord open our minds, our hearts and our hearing so that we may clearly pick up and understand His directions on how He wants us to live our lives and glorify the Lord,” he concluded.